Among the most-respected and best-loved comedians working in Britain today, Jimmy is one of the biggest selling live acts in UK comedy, constantly performing to sell-out crowds across the country. His latest live show, The Best Of, Ultimate, Gold, Greatest Hits Tour, will see him perform to half a million people worldwide and features dates at some of the most iconic venues in the UK as well as dates all over the globe, including Australia, USA, Canada, Sweden, Norway, South Africa and many more. 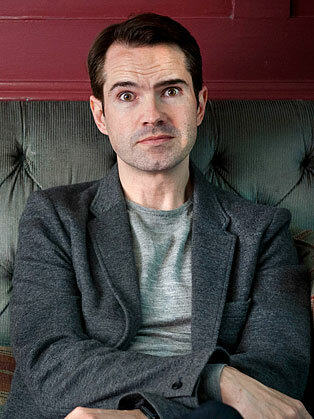 His television credits include 20 series as host of panel show 8 Out Of 10 Cats, 10 series as host of 8 Out of 10 Cats Does Countdown, 10 years as host of Channel 4’s Big Fat Quiz Of The Year and three appearances on The Royal Variety Performance. He has also regularly appeared on shows such as QI and The Graham Norton Show. Jimmy has eight live DVD releases to his name and has sold over 1.2 million copies to date. Last year, Jimmy became the first UK comedian to have a Netflix original special commissioned, with his ‘Funny Business’ show released globally in March. A household name in the UK, Jimmy is also a rising star in the US, where his profile continues to grow. Jimmy has performed two Comedy Central Specials and has appeared on NBC’s Late Night with Conan O’Brien 5 times. Jimmy also recently appeared on The Tonight Show Starring Jimmy Fallon, @Midnight with Chris Hardwick and The Late Late Show with James Corden.